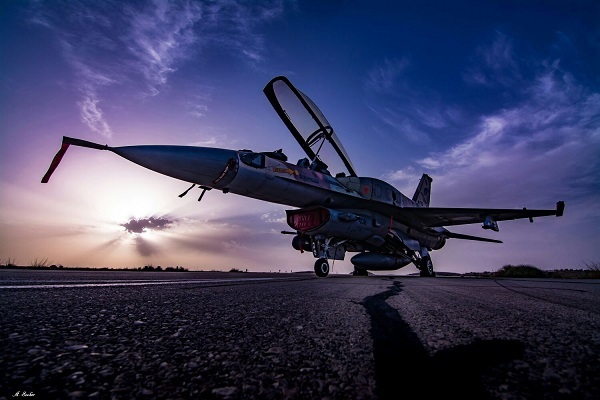 The IAF's fighter pilots are prepared to fly at any moment – even in the small hours of the night – and most of the force's strike sorties are performed in the dark. Night flight provides the aircrew combatants with a significant advantage in their missions, from precise strikes to reconnaissance. They minimize the chance of causing damage to uninvolved persons and reduce risk for the mission crew. Over the past few weeks, Hatzerim and Ramon AFBs' runways were more nocturnally active than ever. 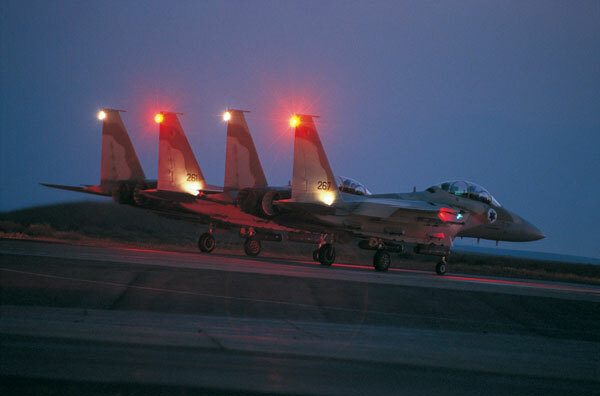 The reason was a Fighter Division nighttime exercise led by the 69th ("Hammers") Squadron, operating the "Ra'am" (F-15I) aircraft, which also featured the force's "Sufa" (F-16I) squadrons. The exercise was meant to train the aircrew members in flight at various altitudes, sharpen their operational abilities and improve the cooperation with the ATC (Air Traffic Control) Division. The participants flew in the dark and drilled various scenarios around the country. "This time, we drilled flight at low and high altitudes", elaborated Lt. D', the 69th Squadron's exercise leader. "One of the high-altitude flight scenarios dealt with a sudden security event which saw us assist forces in the field. The low-altitude training dealt with night flight elements and extreme scenarios". The squadron's schedule changes in accordance with the exercise. "The days and briefs begin later than usual", described Lt. D'. 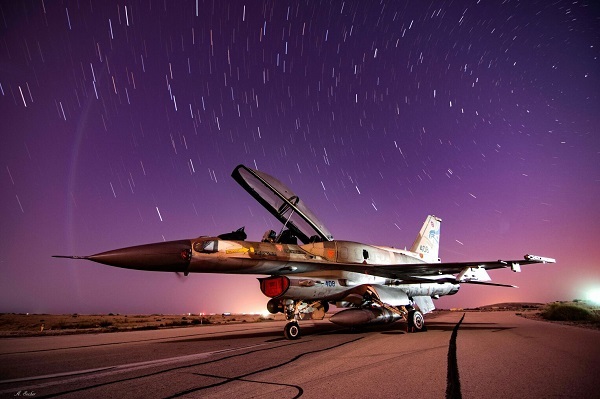 Lt. B', a pilot at the 253rd ("Negev") Squadron which operates the "Sufa" aircraft, added: "If we fly both in the day and in the night, all participating aircrew members are required to sleep at least two hours between each sortie". Like in any IAF mission, the ATC Division plays an important role in the exercise. "Our role is managing the airspace during the exercise", said Lt. A', Deputy Commander of the ATC Unit's Transportation Department. "We have to take other exercises performed across Israel as well as nonstop operational activity into consideration. In addition, the weather can change at any moment. Night flights, combined with complex weather conditions, have prepared us well for real-time aerial combat. No matter how prepared in advance you are, when weather conditions surprise you everything changes and you have to know how to respond to that". "The air traffic controllers are the squadrons' contacts, responsible for overseeing the flight. A very strict schedule determines the exact minute in which each squadron needs to take off and the minute in which they enter the training field", elaborated Lt. D'. "It's not an exercise only for the squadrons but for the controllers as well". The winter weather was also challenging for the participating aircrew members. "We had to keep in mind ways to handle sudden events. For example, if I reach a target and the airspace is cloudy – how do I strike? The solutions proposed during the exercise have proved their worth, the results were excellent and the weather conditions made us sharper than before". Nighttime flight involves new challenges which the aircrew members are then forced to deal with. Besides disrupting their sleep, nighttime flights demand that the pilots get used to examining their surroundings using night vision systems. Even takeoffs and landings aren't performed as usual during the dark - consequently, preliminary tests are performed before each nighttime sortie. During night flights, the aircrew members rely on the technological systems inside the cockpit instead of looking out. "What I do using my vision by day, the systems do automatically by night", demonstrated Lt. D'. 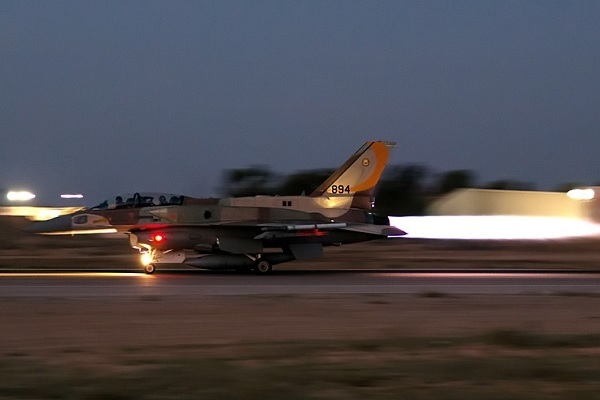 The technology and means currently at the disposal of the IAF's Fighter Division allow for nighttime strikes at a higher frequency than ever before. Nowadays, pilots and WSOs (Weapon Systems Officers) are able to fly in low-visibility conditions where you can barely see the target with your eyes, such as flight in cloudy skies or a sandstorm. Some of the fighter jets' advanced technological systems include a system which maps the terrain and allows for low-altitude flight. However, nighttime flights are also dangerous. Vertigo is more common during night flights because of the darkness surrounding the aircraft. When in a state of vertigo – which means loss of orientation during flight – the pilot may dive into the ground while actually believing they are increasing in altitude. 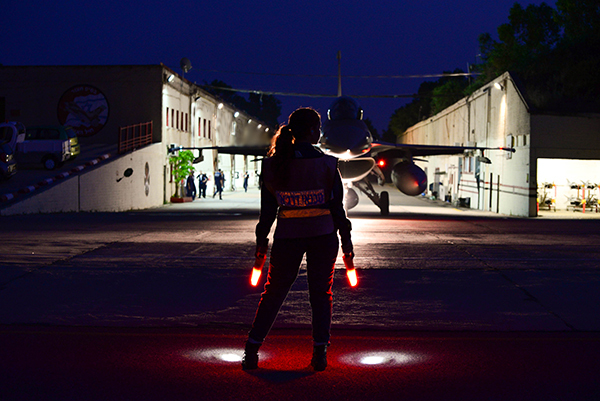 "Flight by night is basically the same as flight by day, but we take safety precautions", elaborated Lt. S', the 107th ("Knights of the Orange Tail") Squadron's exercise leader. "The aircraft's nose can't be pointed too low or turned too sharply so as to not induce a state of vertigo". In spite of the difficulties in night flight, Lt. B' emphasized that the Fighter Division's service members are prepared for the occasion. "We trust the aircraft's systems even when our senses aren't as sharp, and even though systems may always malfunction, I always trust my aircraft to work properly".